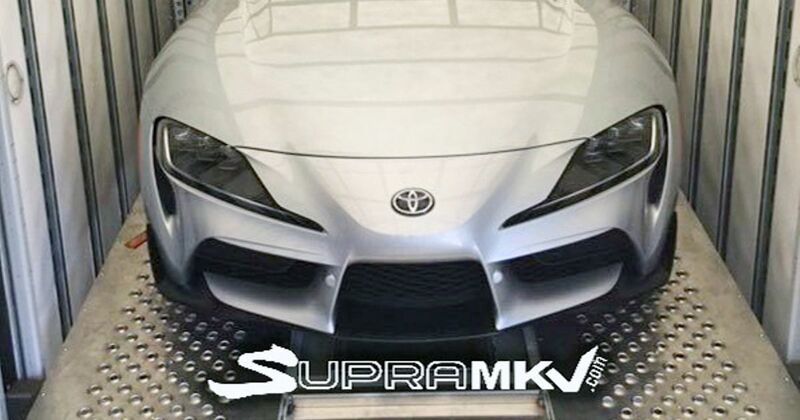 Finally we can show you the front end of the production-ready A90 Toyota Supra. 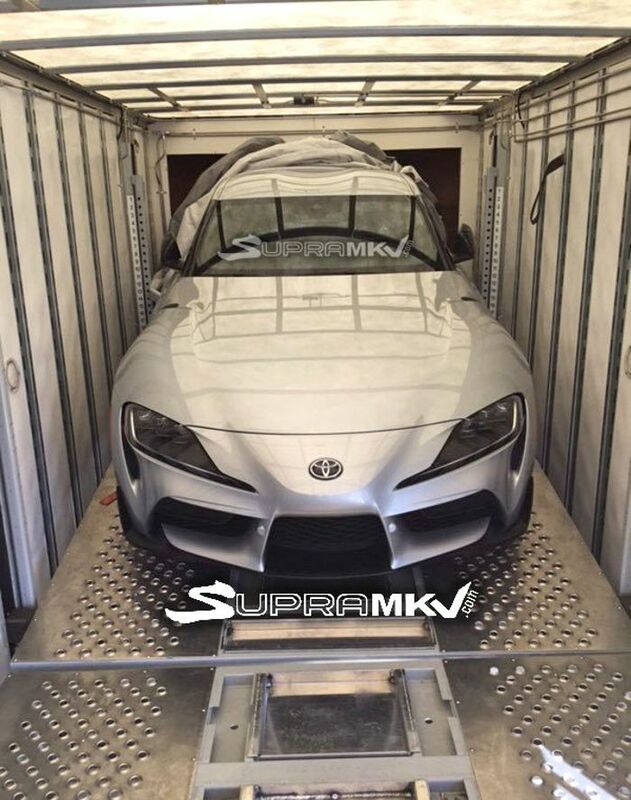 It has leaked through the SupraMkV forum and shows the final thing in a transporter trailer. Evidently it used to be covered by the sheet we can see bundled up over the rear windscreen, but however the car came to be exposed, now we can discuss the differences between it and the FT-1 concept. The headlights are clearly fatter and bear a much more obvious resemblance to the legendary A80’s. Likewise, the protruding central nose section has been dialled back with its lower section now part of the larger three-section lower grille designed for actual cooling in actual use. 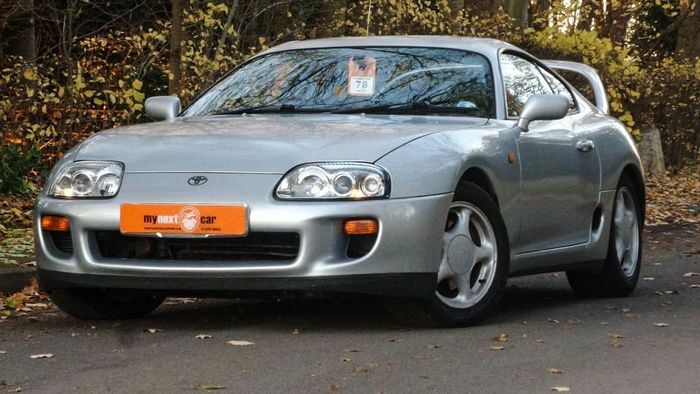 There’s no transparent panel over the engine, sadly, but the rough design and intent of the front splitter is much the same as in the concept, just without the kinks where the concept’s met the middle of the nose. Interestingly, the ‘double-bubble’ roof has been maintained. We can also see how accurate the images were in the Japanese magazine leak earlier this year. As we’ve discussed before, we really feel for companies whose grand plans get shafted by such leaks, but this is simply too big to ignore. 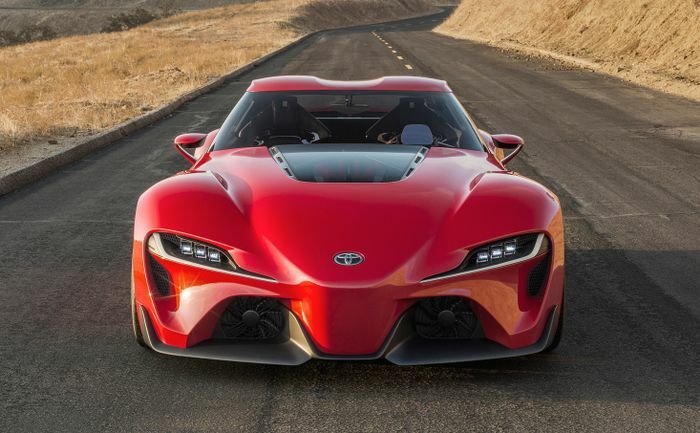 Toyota must be seething and we can totally understand why, but there are still the full specs to look forward to during its full debut at the Detroit Motor Show in January.